Why is using credit cards such a bad idea? Here on my web site, as well as in my financial counseling sessions, I am consistently stating that the use of credit cards is not a good idea. Notice that I didn't say that using credit cards was wrong--I simply said that it is a bad idea. So, to answer the question, using credit cards is not wrong, it's just a bad idea. Now that that's settled, let's talk about why credit cards are a bad idea. The first reason credit cards are a bad idea is that they actually cause you to spend more than you would if you were spending actual cash. If you don't believe me, then on your next purchase of $300 or more, go pay with cash instead of with a credit card. Trust me, when you are looking down at that pile of $300 worth of cash sitting there on the counter, it will feel very different than just handing the clerk a plastic card. 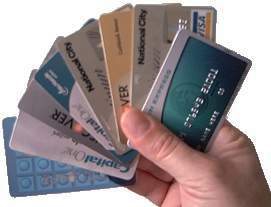 Studies have consistently shown that someone using a credit card instead of cash will, on average, spend 12 to 18% more. Someone using a credit card instead of cash at a fast food restaurant will spend 47% more on average! So, if you would normally have spent $100 worth of cash on store purchases, you will, on average, spend $118 on a credit card. If you do that ten times (very easy to do), you have spent an extra $180 more than you would have without the credit card. That doesn't even take into account the credit card interest and fees. That leads us to the second reason why credit cards are a bad idea, the fees and interest kill you off slowly--at least financially. So slowly, in fact, that many people don't even realize it until it becomes a major financial problem. One day it seems like you are fine, and the next it seems like most of your credit card payment is going just to cover the interest--most likely, it is! And the scary thing is, if you read the fine print in your credit card agreement, you will find that the credit card company reserves the right to change the terms of the contract at any time. All you have to do to agree is nothing! You just use the card as usual, and you have agreed to whatever changes the credit card company has made. That is why the interest rate on a credit card can suddenly go from the "low introductory rate of only 4%" to 18%, 25%, 35% or more! The credit card company pretty much has all of the control, and you are at their mercy. And then there are the fees. It is a fact that credit card companies make almost as much profit in charging fees as they do in the interest they charge. They make it sound like the fees are to punish you and make you "behave" so you'll make your credit card payments on time, but the truth is that the credit card companies actually want you to mess up so they can charge you such fees as late fee, over limit fee, annual fee, member fee, etc. If you are late with just one payment, they can, and will, raise your interest rate as high as they can, and then throw a bunch of additional fees in on top of it. If they do their job correctly, you are supposed to end up in a situation where you can't pay your card off completely and so just send them payments every month for the rest of your life. This, unfortunately, is exactly where many Americans end up. Never forget that the credit card company's job is to get people into debt and keep them there--seriously--that is their intent and that is how the credit card business makes money. If you owe someone money, they own a piece of you and your future. I think this is the number-one reason why using credit cards is a bad idea. Yes, it is still possible to overspend when using cash or a bank debit card, but it is not possible to go into debt. You could, theoretically, spend your money down to zero using cash or a debit card, but you can go no lower than that. With a credit card, however, you can and usually do go into debt. You can spend all the money you have and still keep spending. 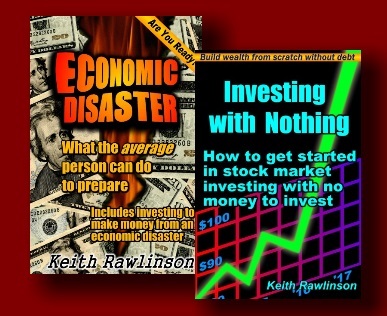 You don't have to stop when you get down to zero, you just go negative which means debt. Debt takes away your choices. If you have debt, then every major financial decision will have to take that debt into account. In other words, you plan your financial decisions around your debt. You want to replace your car, but you haven't paid off the last one yet. You want to buy a house, but your debt payments leave you nothing for a mortgage payment. You want to get higher education or add to the education you already have, but you have to work full time to make your debt payments. You would love to be able to send your child to college, but debt payments are leaving no money to do so. You would like to retire, but your retirement income would not leave you enough to live on and make your debt payments. See? Debt takes away your choices in life, and credit cards create debt. Debt takes away your future. If you are struggling to make high-interest credit card payments for years and years, then you don't have the money you need to save, invest and become wealthy. In fact, the debt ends up taking so much of your future income that when you do have to do something major such as buying a car, a home or paying for college, you have to borrow still more money to do it. That's the debt cycle: you borrow money and the payments keep you from having money, so the next time you need money you have to borrow it. If you get into debt and stay there, then the debt cycle never ends. To break the cycle of debt, you have to stop borrowing money and pay off the debt you already have. Well, every time you use a credit card you are borrowing money. See the problem? You can be deeply in debt, or you can become wealthy--you can't do both! So, credit cards are a bad idea simply because debt is a bad idea. It takes away your choices and takes away your future. As you can see, there is no way you can win financially if you are playing with credit card companies by their rules. How could you ever win any game if your opponent gets to make the rules and can change them at any time? You simply can't! So, the plan here is to change the rules. Start dealing with the credit card companies by your rules instead of theirs. Their rules say to build up and maintain a credit card balance so you can send them payments for the rest of your life. Their rules say to make mistakes and be late with payments so that they can charge you fees and higher interest. Their rules say to make credit cards a normal part of your life so that they can keep you in debt forever. Your rules say to stop borrowing money, get the credit cards paid off completely, become totally debt-free and start using your money to build wealth for you instead of for them. To accomplish this, you need savings and you need a plan. The credit card companies will no longer have control of you once you know the secret to becoming wealthy, and apply it to your own financial life. "Credit cards make us think we have more money than we do." you pay your credit and you have no money because you're paying the credit."